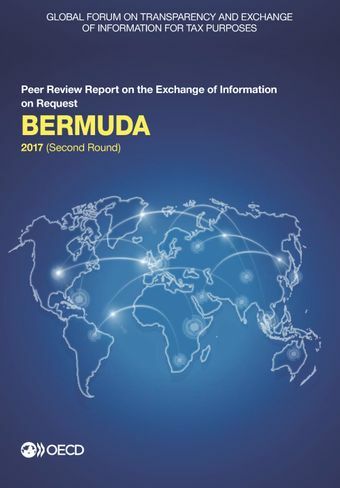 This report contains the 2017 Peer Review Report on the Exchange of Information on Request of Bermuda. The second round review rates Bermuda as overall largely compliant with the international standard. During the new review period, the number of requests for information exchange received by Bermuda has significantly increased and the input from exchange of information partners on their experience with Bermuda was very positive. As in its previous review by the Global Forum, Bermuda continues to be recommended to fully exercise its monitoring and enforcement powers to support the availability of legal ownership, identity and accounting information. In respect of the aspects of the 2016 Terms of Reference that were not evaluated in the first round of reviews, particularly with respect to the availability of beneficial ownership information, the 2017 report recommends that Bermuda (i) ensure that beneficial ownership information is available for all relevant entities and arrangements, in particular the ones that have no relationship with an AML obligated person in Bermuda; (ii) improve its oversight of the compliance with the obligations to update ownership information pursuant to the exchange control regulations and take enforcement measures in cases of non-compliance; (iii) implement supervision of corporate service providers. Read the press release issued on 21 August 2017.